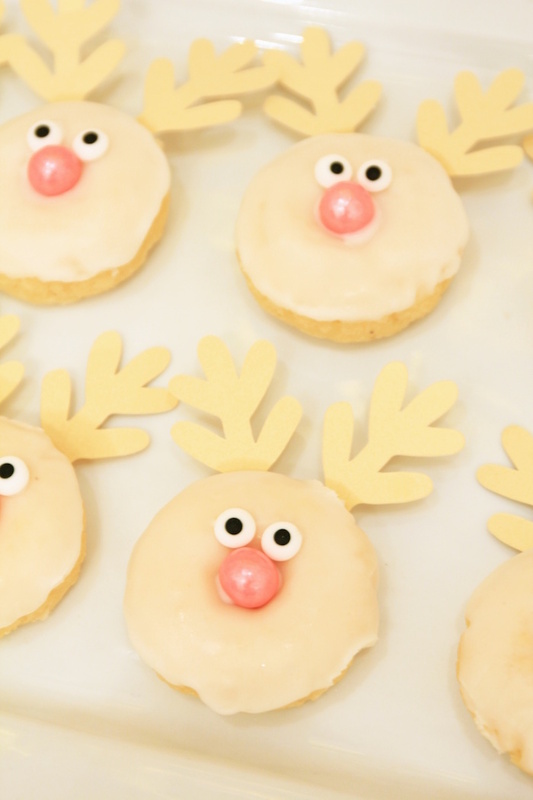 On Dasher, on Dancer, on Prancer and Vixen On Comet, on Cupid, on Donner and Blitzen! 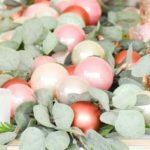 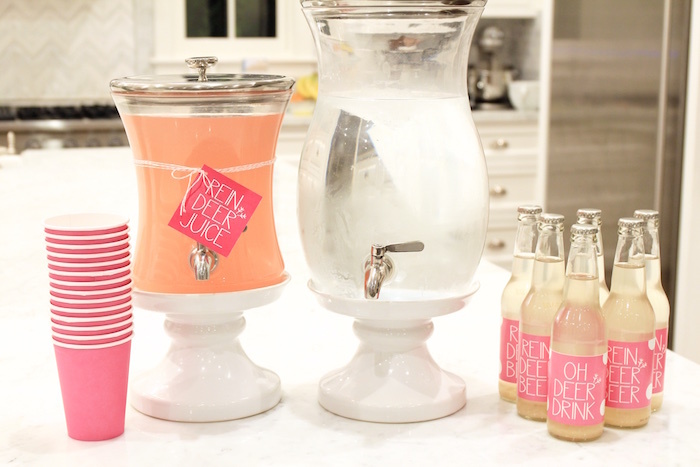 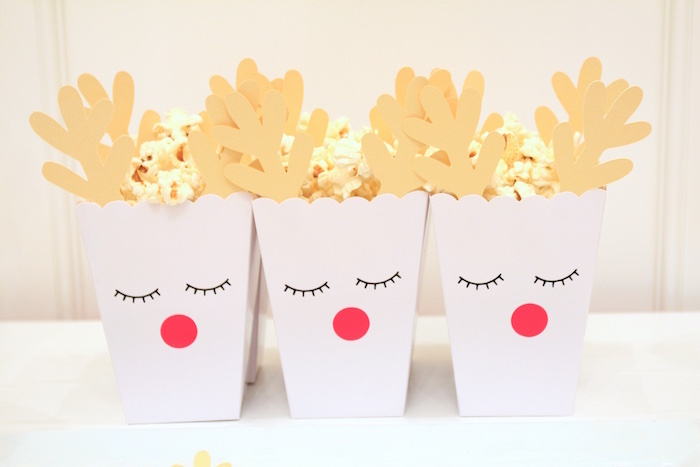 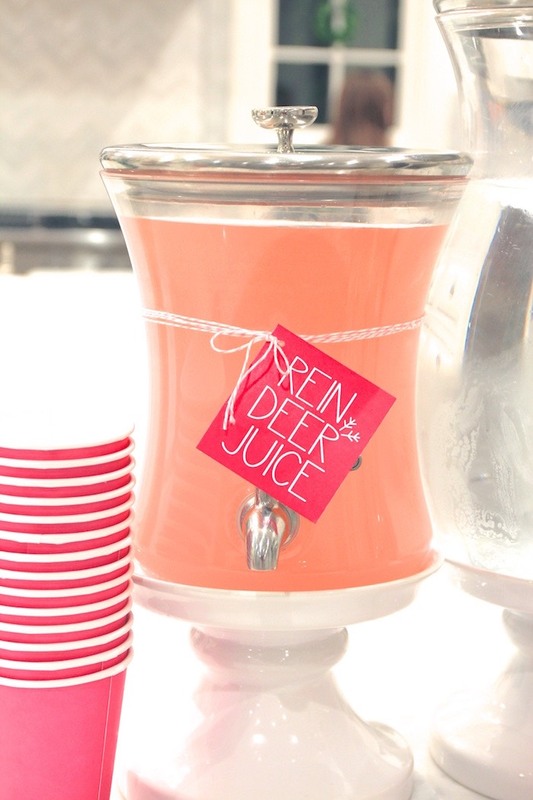 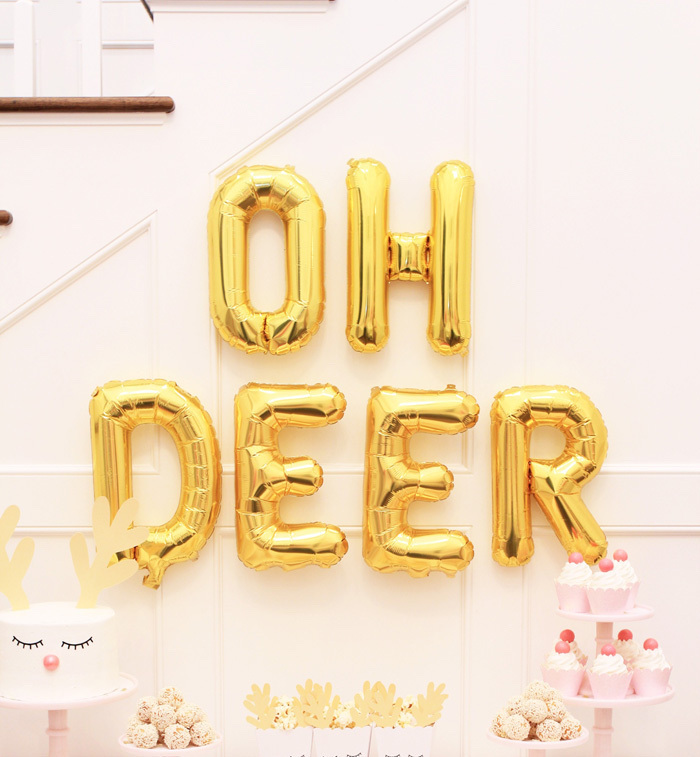 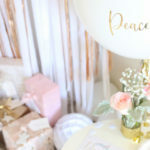 Gear up and fly to the skies, this OH DEER Christmas Party by Jenny Raulli of Bloom Designs, is jingling by! 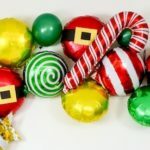 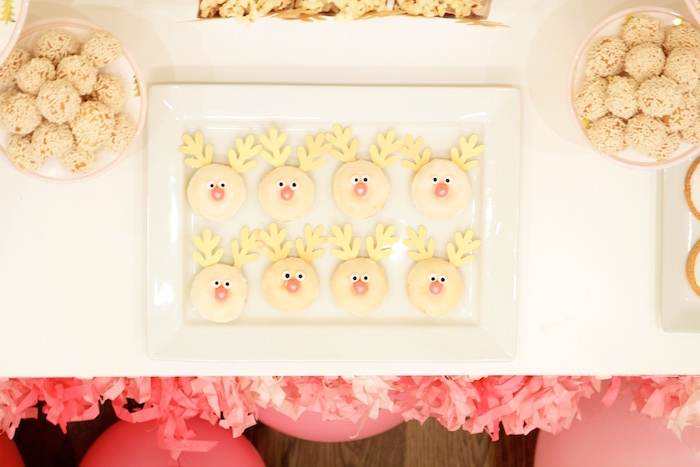 Filled with reindeer fun, much better than toys, this celebration is for all to enjoy! 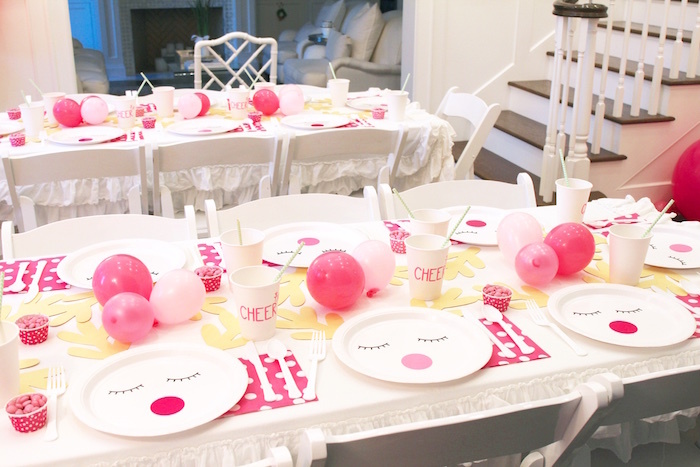 Jenny’s party description- “Every year my daughter’s host a small Christmas party for their friends. 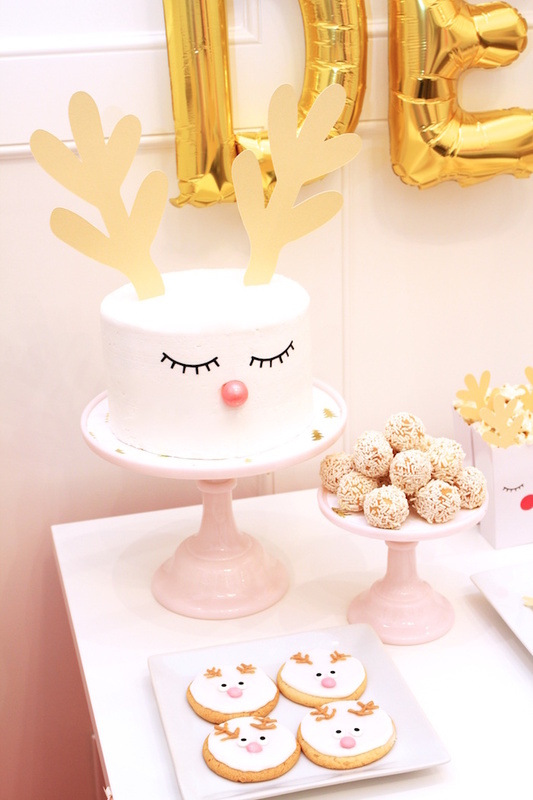 Having all the girls during the holidays is truly one of my favorite traditions. 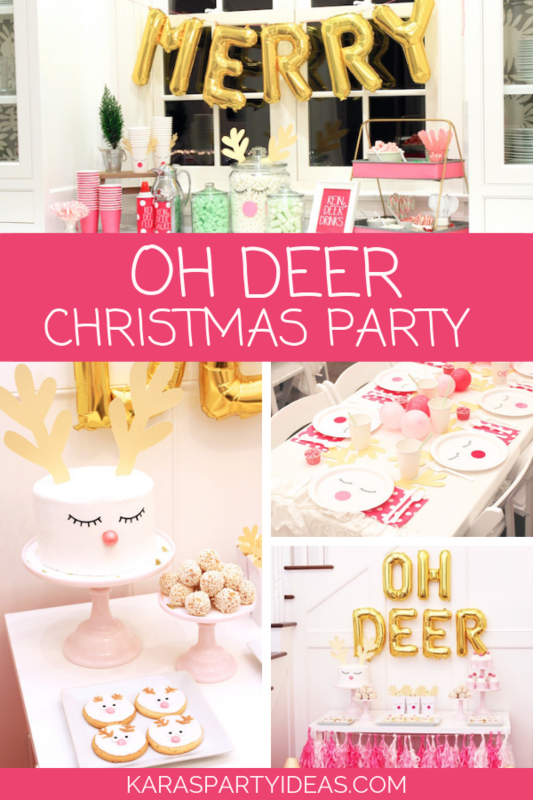 Last year we hosted a OH DEER Christmas party. 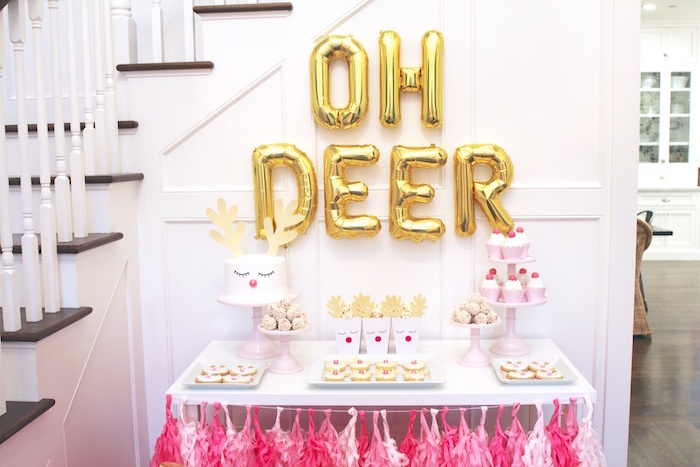 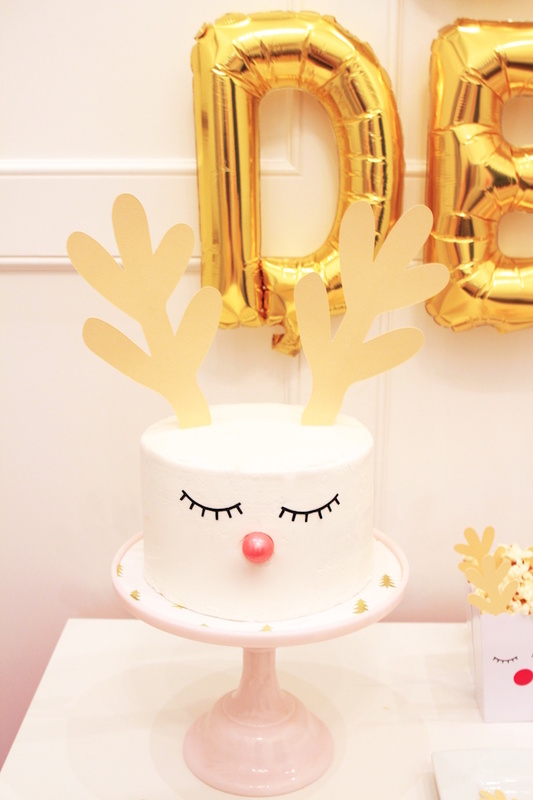 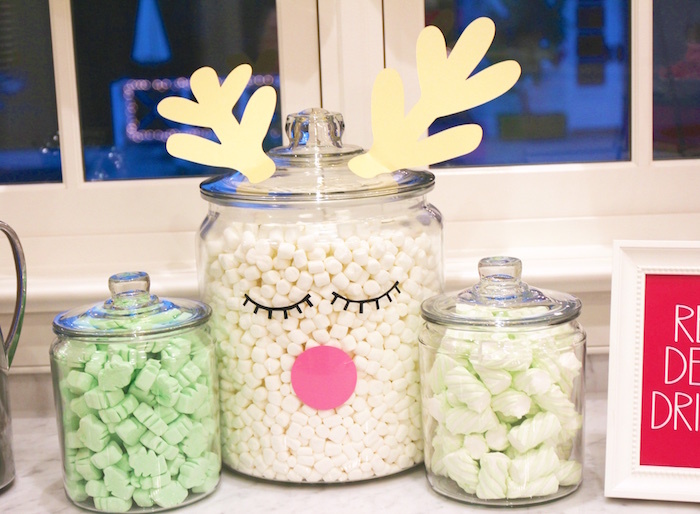 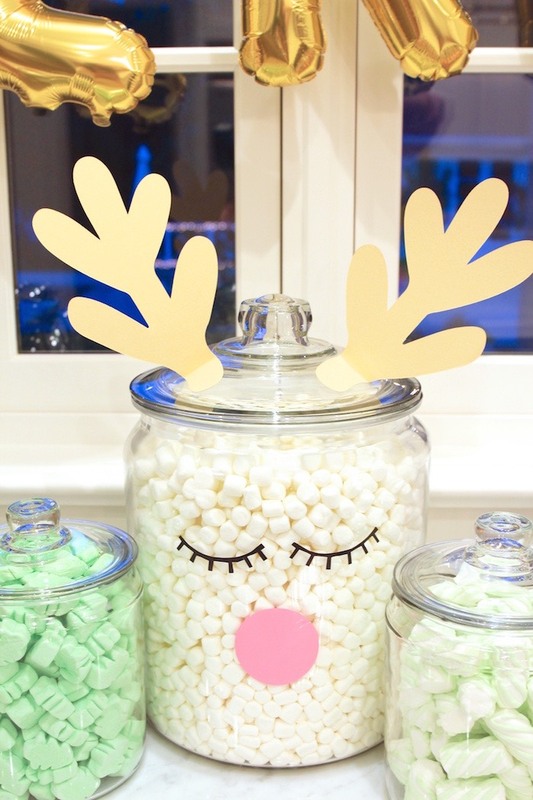 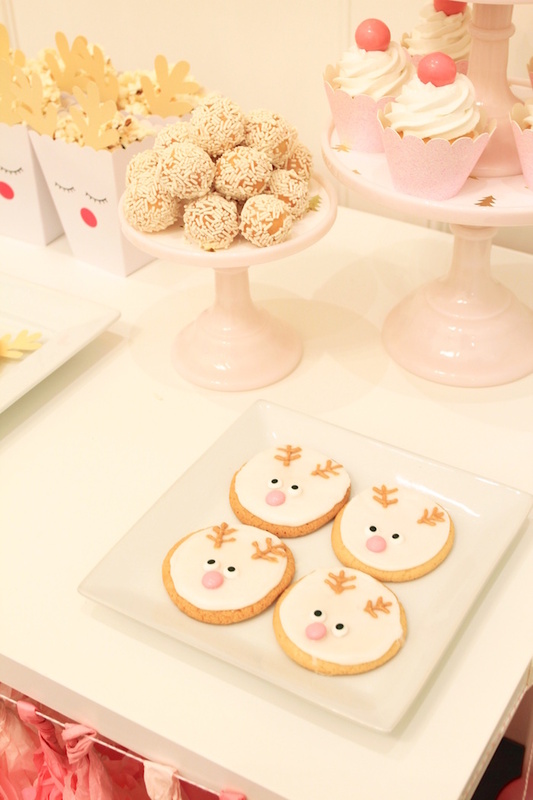 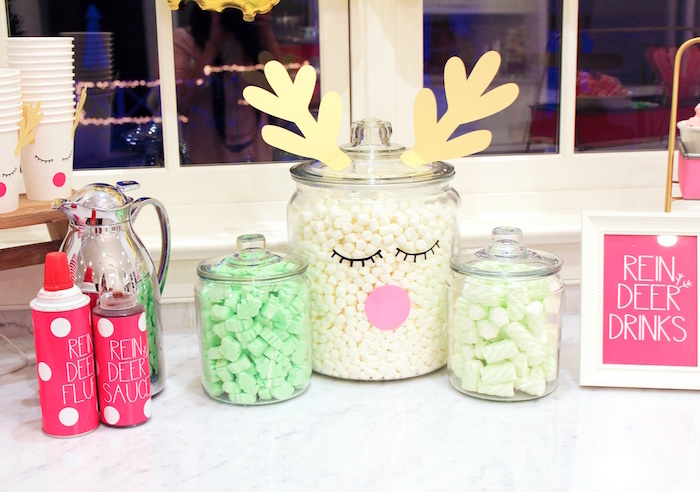 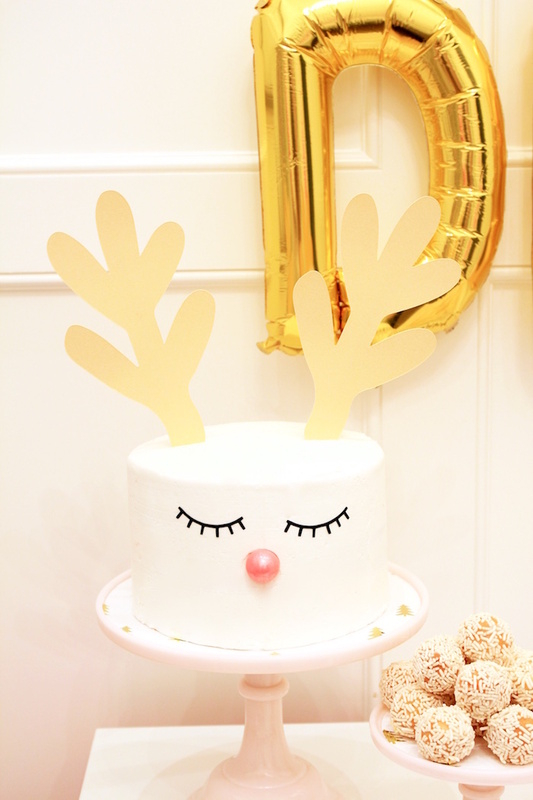 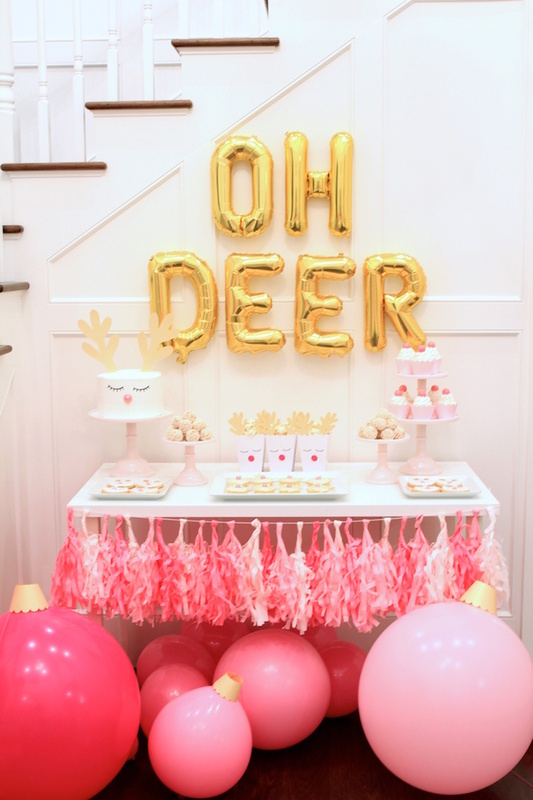 I was so much fun designing the printable, desserts and tables cape around reindeer. 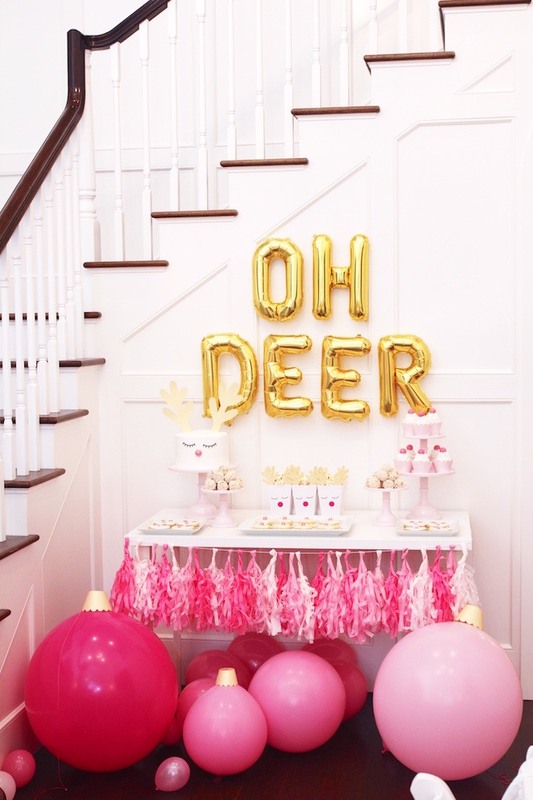 Since my girls are in their teens, I just used a simple reindeer antleers for most of the decor. 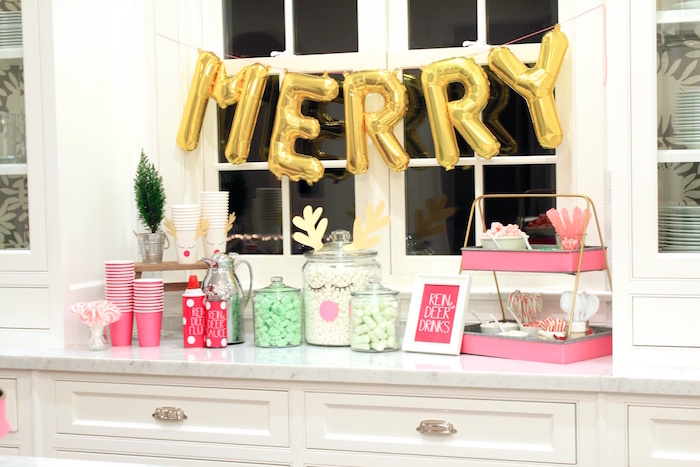 I used my Cricut machine to cut out lots of silhouettes and choice a pink, red and gold color palette to give it a little twist. 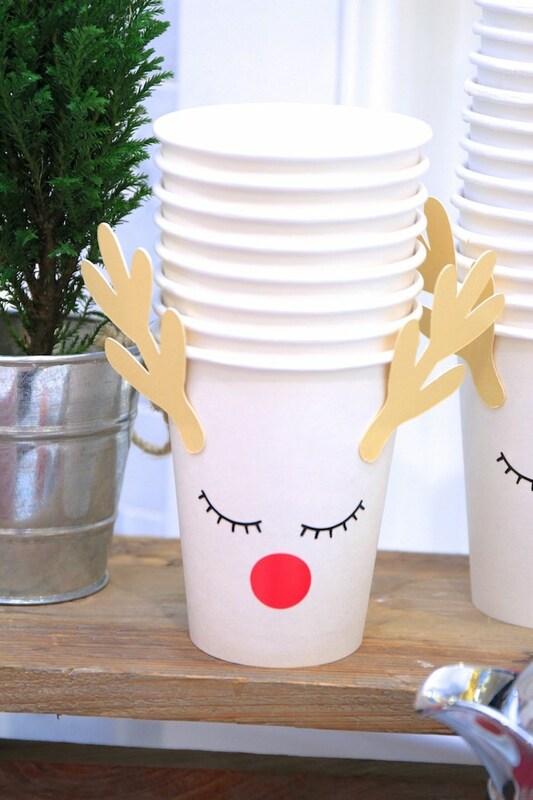 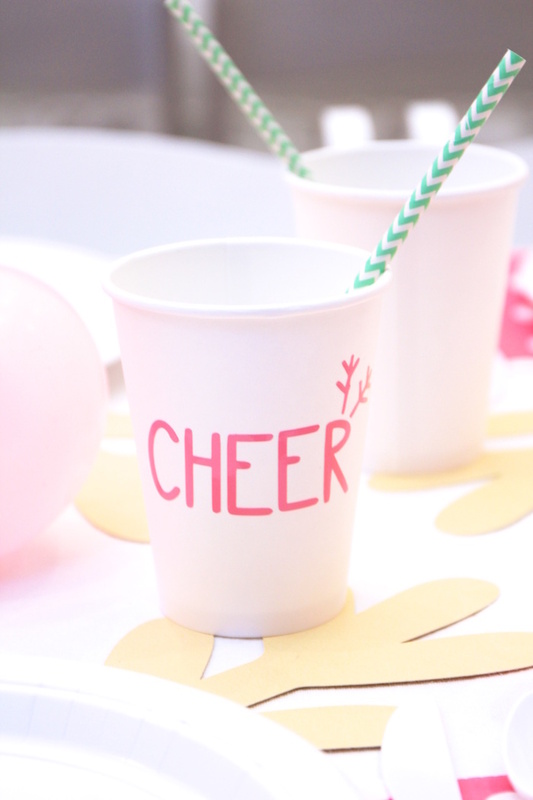 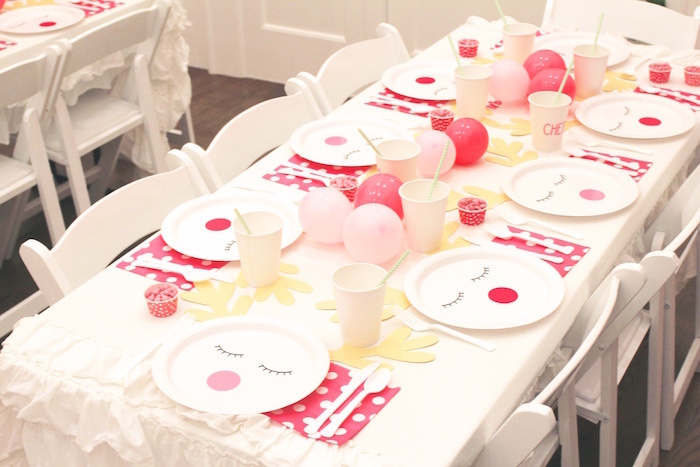 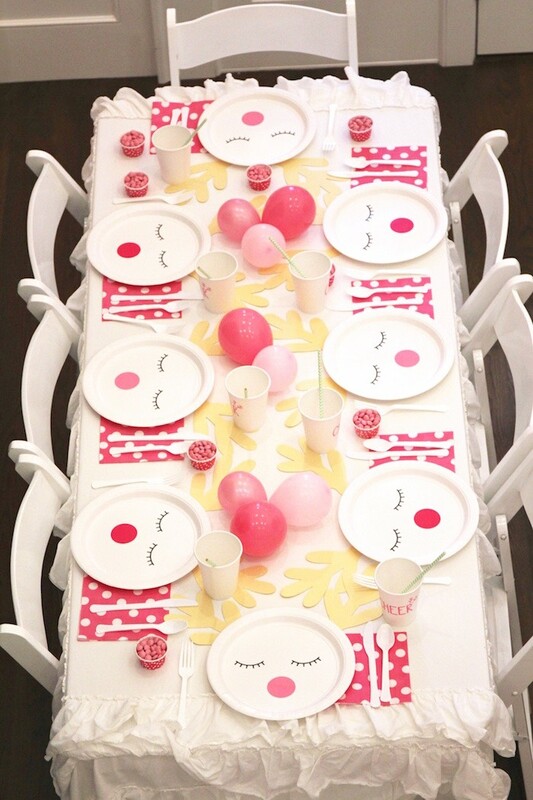 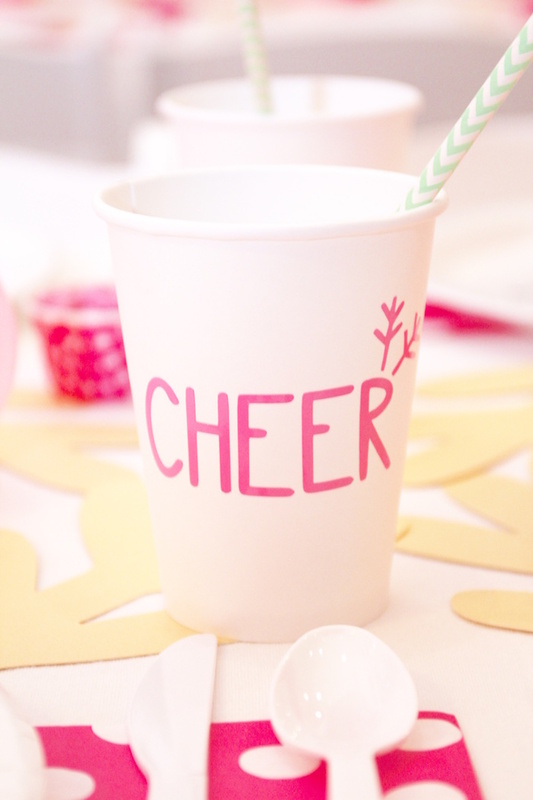 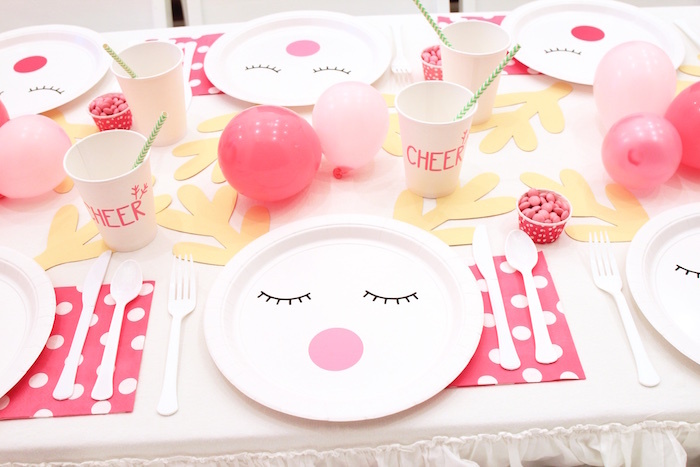 We used inexpensive paper plates and cut out eyelashes, a nose and antlers to create reindeer plates and whats a table with out a cup of cheer?! 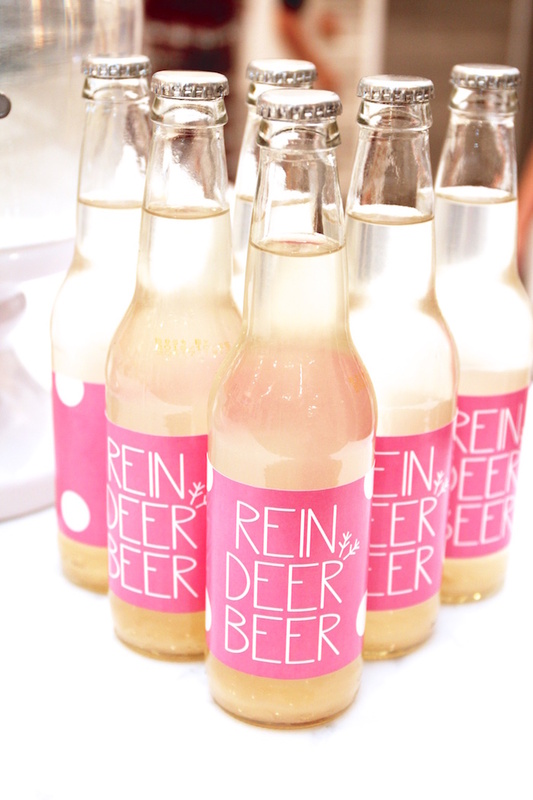 Since the girls all wore their pajamas, dinner was breakfast food- chicken and waffles, a yogurt bar, and Oh Deer Beer (ginger ale). 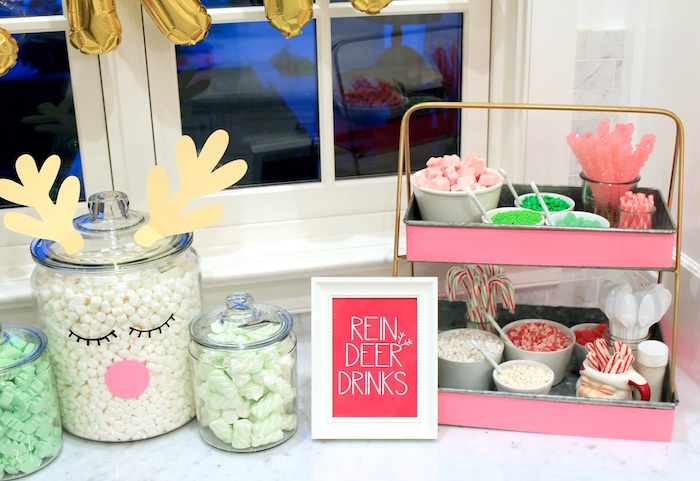 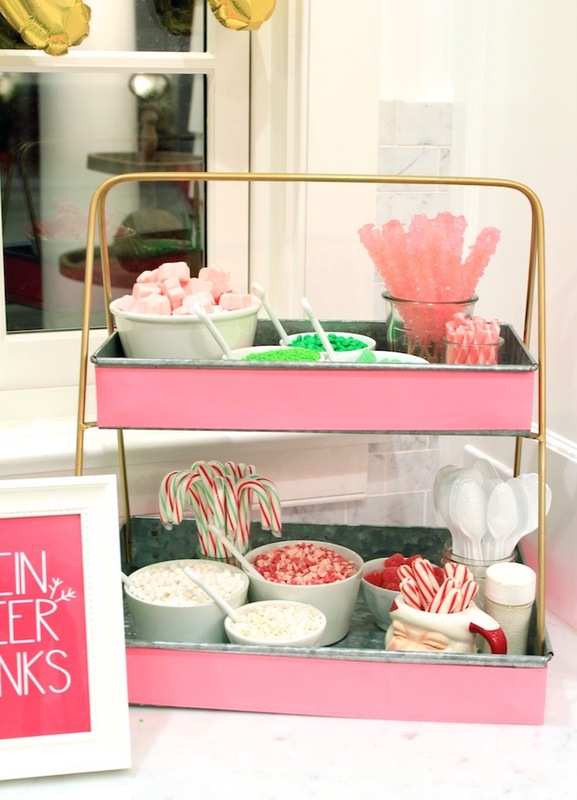 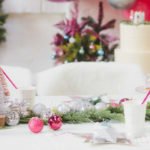 The girls treated themselves to Reindeer Drinks at the hot chocolate bar complete with pink and red toppings. 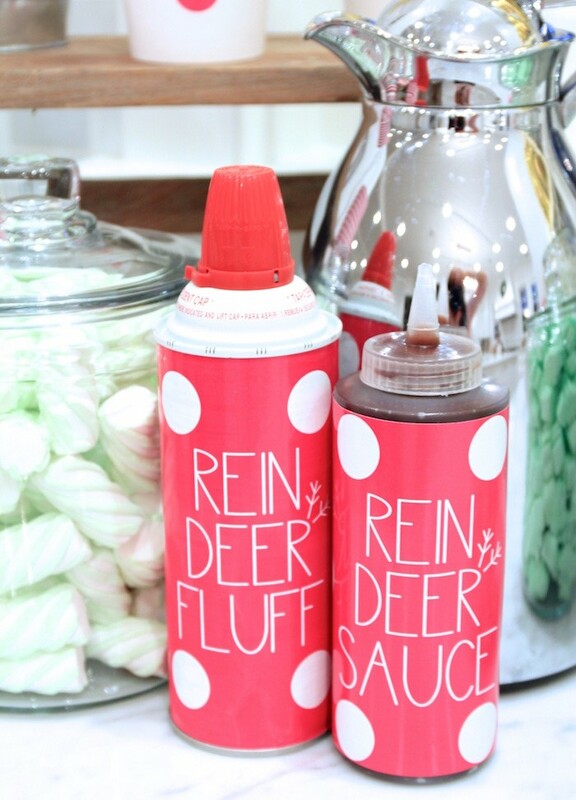 Oh course there was reindeer games. 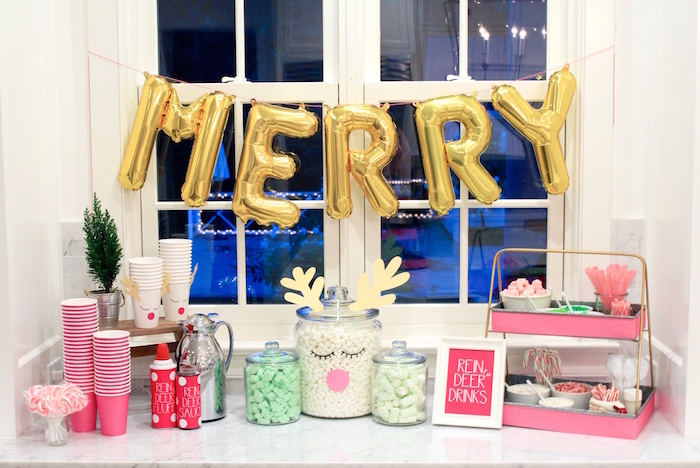 The girls played pin the nose on the reindeer and exchanged white elephant gifts.